Everything about Oahu Hiking - The island paradise of Oahu is the ultimate hiking destination for those seeking outdoor recreation. Whether you are here with family, friends, or kids be assured that the hiking experience will be enjoyed by people of all ages. 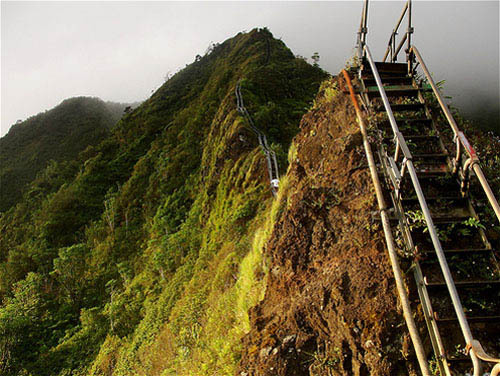 If you are young at heart and are ready to traverse the beautiful hills and valleys then the numerous hiking trails of Koolau Mountains, Manoa Valley, and Mt. Olomana are waiting just for you. Here you will find useful information about the type of gear you require for hiking in Oahu and the types of Oahu hiking trails you can choose from. 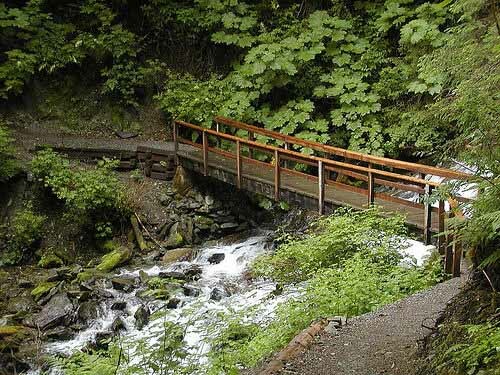 Getting an idea of the nature of the hiking trail you choose is important before you set out. This is because you need to carry the right type of hiking equipment. Basic hiking gear like comfortable hiking shoes, light clothing, a rain jacket, and a backpack with sufficient food, water, and sunscreen are a must if you are planning a less strenuous, leisurely stroll. You may need to add some more essentials like a flashlight, compass, a map, a warm jacket, gloves, and a first aid kit if you are planning to do some deep exploring and tough hiking. It is important to stay on the trail and follow markers to avoid getting lost. The Old Pali Road Oahu hiking trail is an easy to follow path which leads you to a magical little pond and waterfall tucked away behind some trees on the mountainside. This path leads downhill on an abandoned highway. Sounds mysterious and beckoning? It sure is. 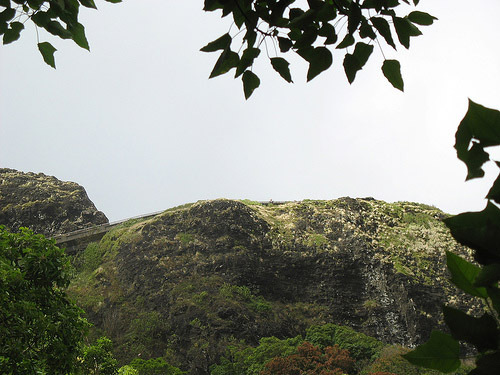 The Pali Lookout at the head of the trail gives you a spectacular view of Windward Oahu and Koolau Mountains from a height of about 1,200 feet. The lush greenery shrouding the roads, majestic peaks, and views of the bay complete this hiking experience. There are several trails with a medium difficulty level for hiking on Oahu and among these is the beautiful ridge trail of Kealia. This trail brings you up the Mokuleia Mountains where you can view Makua Gulch and the coastline of Waianae. The best part of this Oahu hike is the view of the gliders that launch nearby. They zoom astoundingly close to the mountainside and you can get some great shots from here. So keep that camera poised for action. 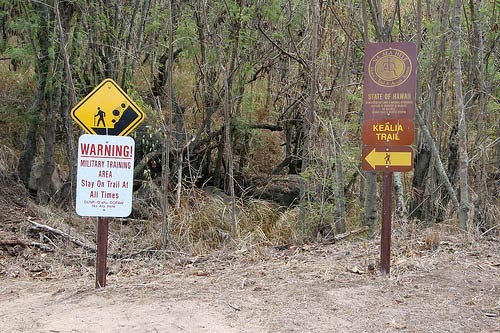 If you set out on the Dupont hiking trail, get ready for one of the most challenging Oahu hiking experiences. Starting at a point where the terrain is level and the grass is green; don't be deceived because high ridges of the Waianae Range and rugged peaks of Mt. Kaala lie in wait. You will find cables attached to assist you across some of the frighteningly narrow ridges. As you proceed you will find clouds swirling around you and the ravines getting steeper. You will find some amazing specimens of Hawaiian flora along your way. The Dupont trail for hiking in Oahu is scenic, intriguing, adventurous, and it promises a comprehensive hiking experience. Share Your Oahu Hiking or Hawaii Vacation: We're looking for stories, tips and experiences from any Oahu vacation you've been on. Why not take a few moments and Share it with everyone! Save Hiking on Oahu Hawaii!! !